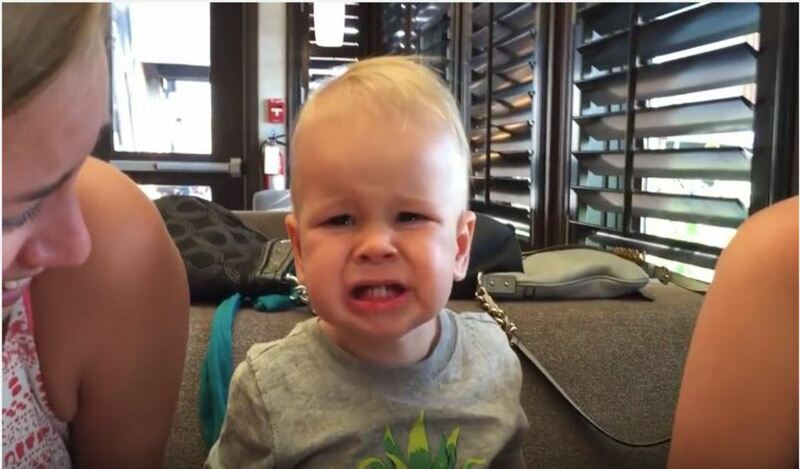 A 2-year-old baby boy is making his way around the Internet. Why? Because he eats cranberries in the funniest and most endearing fashion. 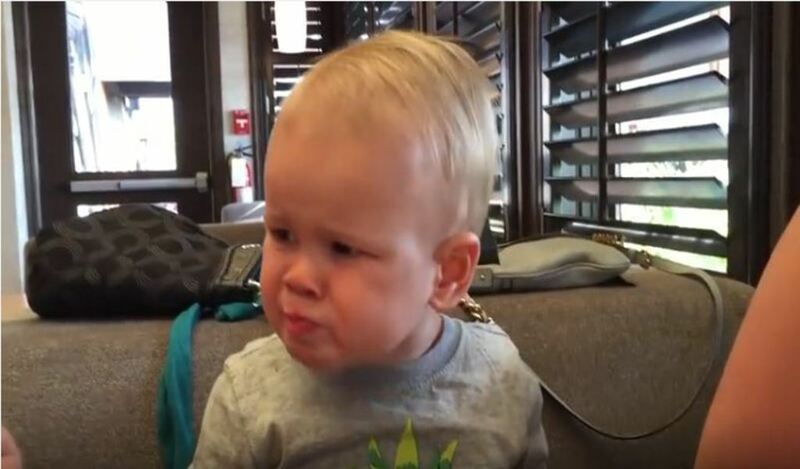 While at a restaurant in Alberta, Canada, this 2-year-old Holden was given cranberries to eat for the very first time. On his first bite, his face cringes with pain and disgust. 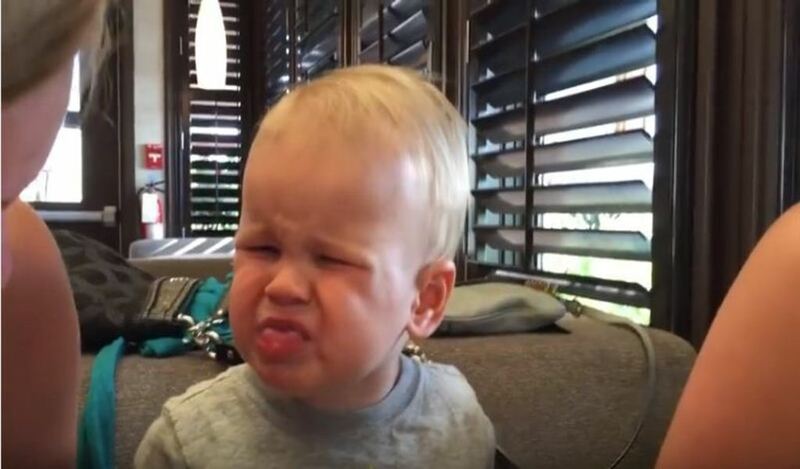 It’s clear that this little boy does not enjoy the taste of cranberries. But just when you think it would end there, little Holden reaches back into the cup for more cranberries. Once again, he winces at the taste. But this little boy just wont’ stop eating cranberries, no matter how much it looks like he hates them. One voice asks him, “Why are you doing that to yourself?” It’s a question that all of us are asking out loud. 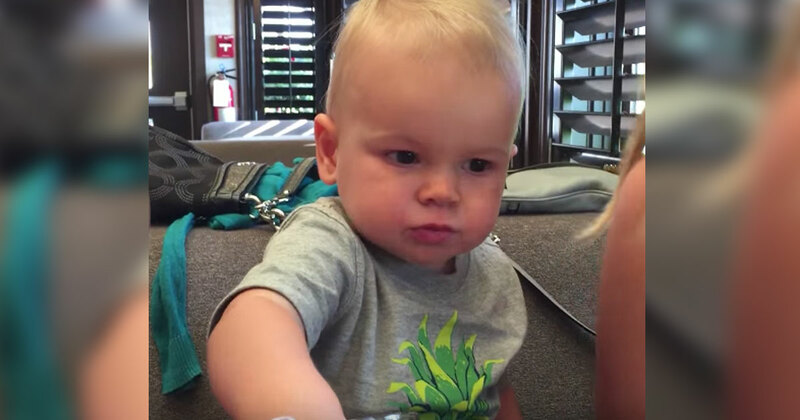 Regardless, it’s an adorable video that will bring a smile to your face! Watch the video yourself and be prepared to have a good laugh.